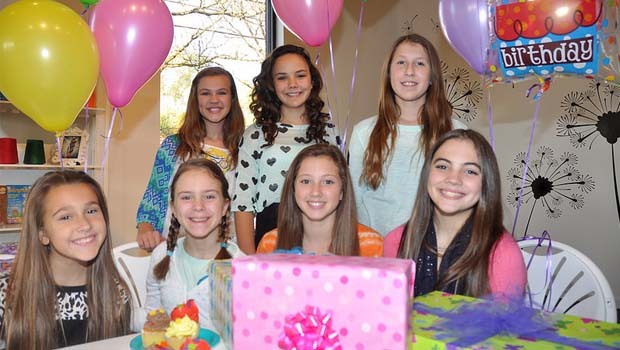 The Friendship Factory Birthday Parties – and birthday party package info. The Friendship Factory hosts birthday parties for girls at the Downtown Rochester Friendship Factory and their in-house Glitter Garage. Let the party planners at The Friendship Factory Rochester take care of all the party details – from helping the birthday girl select a color theme for the party… to which craft and games will be played at the party! The Friendship Factory birthday parties are designed to be stress-free events for parents! The Friendship Factory offers different birthday party packages to choose from – VIP Party, Craft Studio Party, and Boredom Buster. The Friendship Factory birthday parties allow you to make your party unique with additional party add-ons. Booking a party at The Friendship Factory is easy, you can even do it online!